Your skin says a lot about you, so what is it saying? As you know the skin is the largest and toughest organ of the body, but it also is the most prone to changes from internal sources like diet (sugars) and sun exposure. When was the last time you examined your skin without clothing? 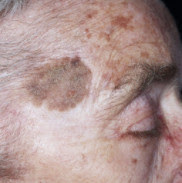 You may notice what you had for dinner may show up on your skin. Your health plays a direct role in the health and ability for your skin to look vibrant, fresh and moist. Have your noticed brown, red, sores or spots or areas that just won’t heal or are changing in size especially after this hot summer? Did you know that the skinregenerates itself every 27 days and the most active time of regeneration is while we are sleeping? Our immune system surveillence is most active at night. If your skin is not healing and you’re not sleeping well, there’s a problem brewing you may not be aware of! If you notice any suspicious changes like this, schedule a visit to our monthly skin clinic. We can examine it and tell you what’s going on. Have you noticed a recent new growth on your skin? Unsure if something is cancerous? Have our clinicians examine and treat if needed. Consultations are complimentary and often only 1 treatment is needed. We guarantee results and will re-treat for free if needed. You can reduce your risk of skin cancer instantly. No more watching and waiting for moles and other skin lesion to change. Avoid riskier, invasive, scarring procedures (that may spread cancer). This innovative method has been used for over 100,000 patients worldwide! No more catching or ripping moles and skin tags on clothing, jewelry, or with hair treatments. There is absolutely no cutting, stitching, burning, or freezing, reducing your risk of permanent scarring! Dr. Reese and Dr. Hilewitz use a gentle, non-surgical system to esthetically remove any lesions which helps to support optimal overall health. All referrals are appreciated and welcomed.